Stretch cotton hair piece made in Australia from pre loved fabric. 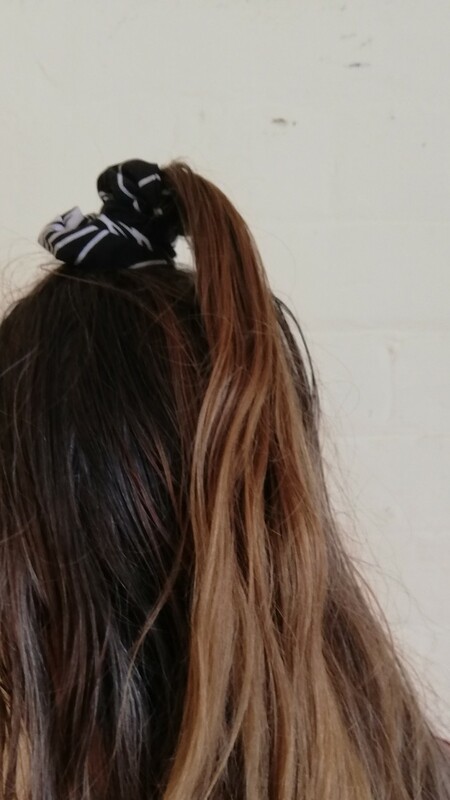 Made to tie around your pony tail with elastic inside the fabric. Small for fine hair, medium for comfort on medium thickness and large for thick hair. Please nominate the size that you require. Pay with PayPal or direct deposit in Australia Please email me for correct amount including postage to allow swift delivery.